Most people like to fit in a spot of sightseeing when on holiday. The Lake District is no different and has its own unique attractions and 'must see' places. There is so much to see and do in the Lake District that it can be hard to choose a selection of things without ending up extending your holiday for weeks or even months on end just so you can see everything! With absolutely incredible scenery which is fantastic for outdoor activities such as cycling and hiking, and picturesque villages and towns with a wealth of cultural activities to get involved in, this beautiful area of Cumbria is packed full of things to do. We all have different tastes and enjoy doing different things, but there are certain places in Lakeland which should definitely not be missed on a trip to this awe-inspiring national park. So what are the must-see places in the Lake District? As the name of the district suggests, there are plenty of lakes in this gorgeous area and as well as the most well-known ones such as the largest lake in England – Windermere – there are plenty of others to see which should definitely be done on a trip to the Lake District. Each lake has a unique character of its own. Lake Winderemere is the most developed for tourism, there are lots of locations by the lake for yachting, rowing, learning to kayak and for watersports in addition to the regular boat trips that ply the lake. One of these other smaller Cumbrian lakes is Derwent Water in Keswick (shown in the stunning top photograph above). This incredible body of water is surrounded by hills and there are plenty of gentle walks that can be taken around the lake, for those who prefer something more relaxing than a trek! 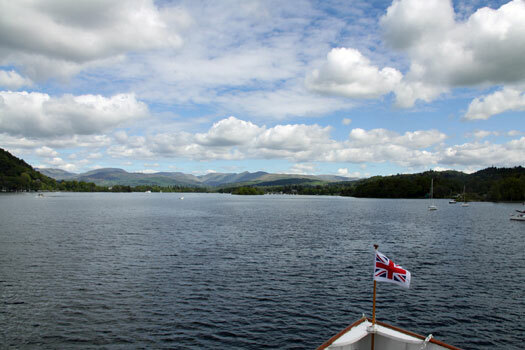 Hopping aboard a gliding ferry over the lake is a great way to appreciate this glistening water and should definitely be seen if you are in the Lake District. The unspoilt lake of Buttermere is also worth visiting, and can be found within the charming village of the same name. Much less visited than other lakes in the district, this means that Buttermere is extremely peaceful and less touristy, and there is a great footpath that wraps around the lake which is wonderful for a calming amble while you take in the amazing views around you. Besides lakes and scenery, the Lake District has a fantastic cultural side to it, with plenty of museums and places of historical interest that should certainly be visited when on holiday in the area. One of these is The Theatre by the Lake in Keswick. 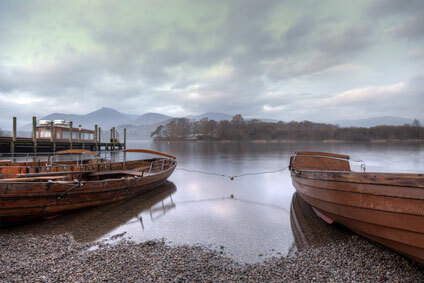 As Cumbria’s only year-round theatre, it produces some excellent shows and set by Derwent Water it makes an extremely romantic place to visit. With a café and restaurant serving pre-theatre meals, you can make a whole evening out of a trip to The Theatre by the Lake. Another must-see attraction is Hill Top in Ambleside, a charming farmstead that used to be owned by Peter Rabbit author and illustrator, Beatrix Potter. The cottage and surrounding farmland was actually the setting for her classic children’s tales and anyone who is a fan of these books will adore this gorgeously preserved home. Another must-see attraction for lovers of poetry is Dove Cottage in the charming village of Grasmere, one of the former homes of Romantic poet William Wordsworth. Also beautifully preserved, Dove Cottage features many artefacts of Wordsworth’s throughout the characterful and dimly-lit rooms of the dwelling where the writer lived from 1799 until 1808. 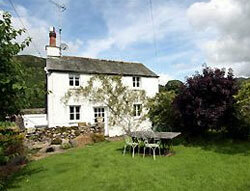 P erhaps you would like to rent a holiday cottage in the Lake District for your stay? Holiday cottages offer that real 'home from home' experience which is both comfortable and relaxing. Take a look at some good quality cottages for self-catering holidays in the Lake District by clicking on the photograph of the Lakeland Cottage on your right. A cottage stay allows you to eat at home and can be a budget priced stay for groups of 4 or more.